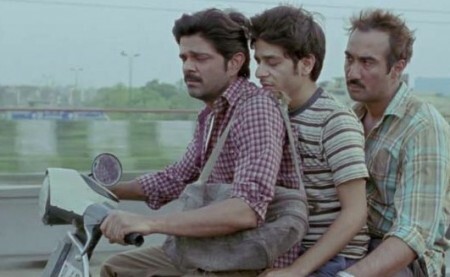 “Titli” is a dark neo-realistic film which takes you into the murky side of the lives of the working class of Delhi, exposing the animal instincts of human beings and how humanity gives way to brutality when survival is in question. The title “Titli” or butterfly, is used as a metaphor for the fluttering wings of the lead character (Shashank Arora) named Titli, who is restless and wants to break free from the shackles of his gory family and be set free into another world to find his paradise. Ranvir Shorey as Vikram, the eldest of the three brothers in a dysfunctional family, is a frustrated man living his life in penury and readily awakens the beast in him to eke out a living for himself and his family. He delivers a power-packed performance — whether it is mercilessly indulging in crime, getting into an uncontrollable fit of rage or craving for more time with his little daughter Shilpi. Amit Sial as Bawla, the second brother, is again a natural before the camera, essaying his character of the partner in crime to make ends meet, with conviction and competence. But it is the relative newcomer Shashank Arora, the youngest brother, who steals the thunder in a stoic, yet powerful performance of a young man who lives life mechanically in the hope of realising his dream one day. His character is well etched, has a steady upward graph and Shashank matches that with his performance, sometimes controlled and indifferent and at other times, giving vent to his angst. Shivani Raghuvanshi as Neelu, Titli’s wife, is every inch the brazen, fearless Delhi middle class girl, who knows what she wants out of life. She does not bow down or let circumstances get the better of her. Yet, she is vulnerable. Shivani is a confident actor and renders Neelu effortlessly, with complete sincerity. Lalit Behl as the patriarch of the family, the father of the trio, is battling his own demons and is effective through his silence and occasional outbursts. The script, written by Kanu Behl and Sharat Katariya, is compact, never once digressing from the core issue, replete with dramatic moments. The performances are gripping and although there is no respite in the form of entertainment or humour, “Titli” keeps you glued to the screen. It is the characters which are interesting and well written, which contribute significantly to the appeal of the film. Director Kanu Behl in his debut film, manages to disturb you and sets you thinking about how selfish and violent human beings can get, and how they can go to any extent in order to safeguard their own interests. The stark dichotomy in the lives of the poor working class striving hard to make ends meet and the leap of urbanisation that cities like Delhi are taking, leave you uneasy. Siddharth Diwan’s cinematography ably captures both the poverty and the dark bylanes of Delhi with equal flair, taking you into their lives effortlessly. Namrata Rao’s sharp and seamless edits and Karan Gour’s evocative background score does not let the mood of the film slip for a moment, making it a film which haunts you long after you leave the theatre. 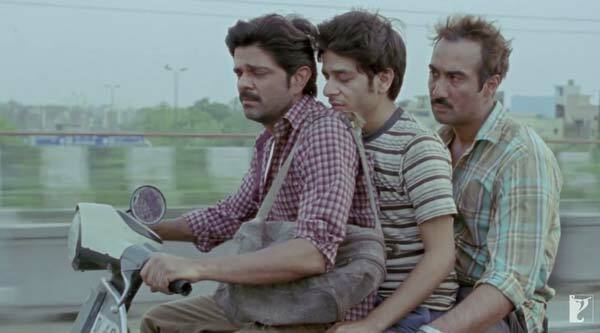 “Titli” is a must-watch for lovers of meaningful cinema. Jai Ho – Jai Ho, Salman!